Size: To 6 in at lower elevations, 11 in. in the mountains. Notes: Thick cinnamon scales on underside of leaf. Grows in long rows. 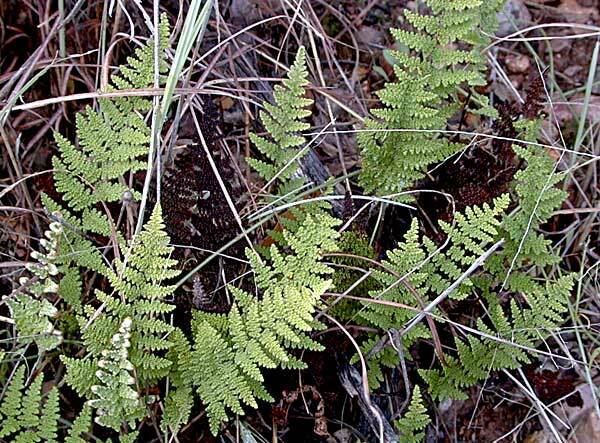 13 species of Cheilanthes in Arizona.